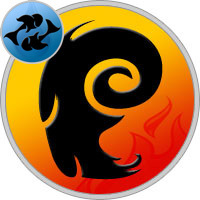 An impulsive Aries man and a sensitive Pisces woman may not make the best of pairs due to their contrasting nature. He is an extrovert who loves his independence. She is the opposite because she is highly sensitive and needs to be assured of security. His audacious lifestyle will not complement her homely and kind personality. Though there may be high chances of them being a healthy couple, they may not be able to sustain the relationship. This relationship can become a classic case of the “put in efforts or break up now” syndrome. Since these individuals carry traits that are diametrically opposite of each other, the relationship can either sustain itself on the differences or die out because of them. If the Aries man learns to tone down his flirty nature, the Pisces woman can better tolerate him. Also, if the Pisces woman can trust the Arian to do his job well, she can live fearlessly without insecurities. The relationship asks for constant adjustments, sacrifices and compromises from the individuals. Since their opposite streaks help them keep the flame burning, they do not have to do much to keep passion in their lives. But day to day chores can become taxing because of their personalities. Every hurdle can be crossed if one knows how to pass it. Therefore, to make this relationship work, the Aries man and the Pisces woman need to constantly assure each other that they are happy and satisfied with each other. Miscommunication can brew misunderstandings and that cannot be good for the couple. Patience is a virtue that will be needed in plenty to keep this relationship strong and error-free. If both individuals contribute to it rightly, the relationship can become rewarding and exciting for them.